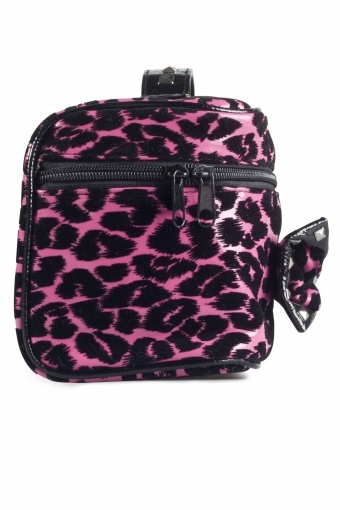 Super cute medium size train case Black Leopard by Rock Rebel. Vegan friendly pink faux glossy patent leather with black leopard flock print and black satin interior. Cute bow at the front decorated with square silver studs. The handle on the top is also decorated with studs. So cool!